Reusable cotton bag 220 grams per square meter (8 oz. 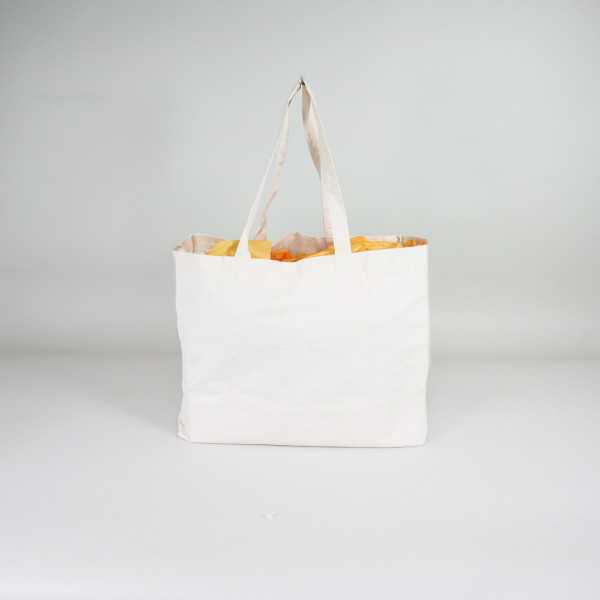 ), It features cotton handles sewn inside (shoulder bag). It is a "tote bag" model without bellows or bottom. By buying this product you can collect up to 213 loyalty points. Your cart will total 213 points that can be converted into a voucher of 2,13 €.